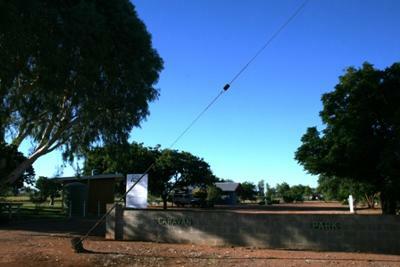 Windorah is a small place in south-western Queensland, probably most known for the red sand dunes..- impressive. There is a small caravan park with a new toilet and amenities block, nice. Council people come along every morning to pick up the fee - $10 a night per van or vehicle. They come along quite early so if you dont want to be woken up, put money outside or pay a few nights at once.